Background Focus group data are created through interactions between participants whereas data from individual interviews are created through a dialogue between the participant and researcher, whose questions set the agenda. Focus groups and individual interviews are therefore used for different reasons and produce different data. However, sometimes researchers exchange focus groups for individual interviews when collecting data. Aim To discuss the rationale for using focus groups, reasons for exchanging focus groups for interviews when collecting qualitative data and any implications for the quality of research in doing so. Discussion The author first considers the unique features of focus groups and how these contrast with individual interviews. The reasons why individual interviews are added to studies designed for focus groups are then considered, based on the author’s experience and a selection of research studies. Researchers showed flexibility, adapting plans to include particular individuals, but they could have provided clearer rationales for using focus groups and changing their designs. 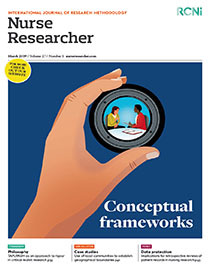 Conclusion Researchers should rationalise their choices of research methods and adopt a transparent and systematic approach, with a clear account of the research process and explanations about any changes to their original designs. Implications for practice Researchers should recognise the differences between focus group and interview data, reflect on their rationales for using each method, and justify their choices. If recruitment is likely to be difficult, researchers intending to use focus groups could nevertheless include individual interviews in their initial design.